Tempting as it is to dip into a Family Guy-like Italian-American stereotype for this post, having rightly got into trouble before, we’ll simply stick to saying that Italian design plus American power is a pretty good combination. Oddly it’s a formula that hasn’t often appeared, but De Tomaso gave it a good go for two decades following the launch of the Pantera in 1971. 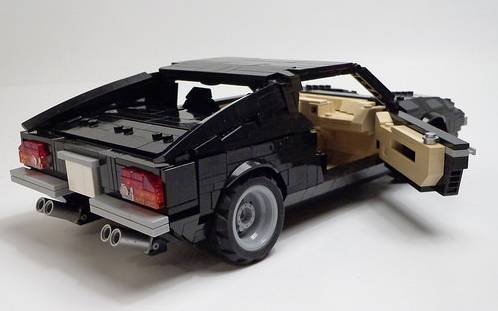 This neat Model Team example has been built by serial bloggee Senator Chinchilla, and you can see more of his brick-built classic on Flickr by clicking here.